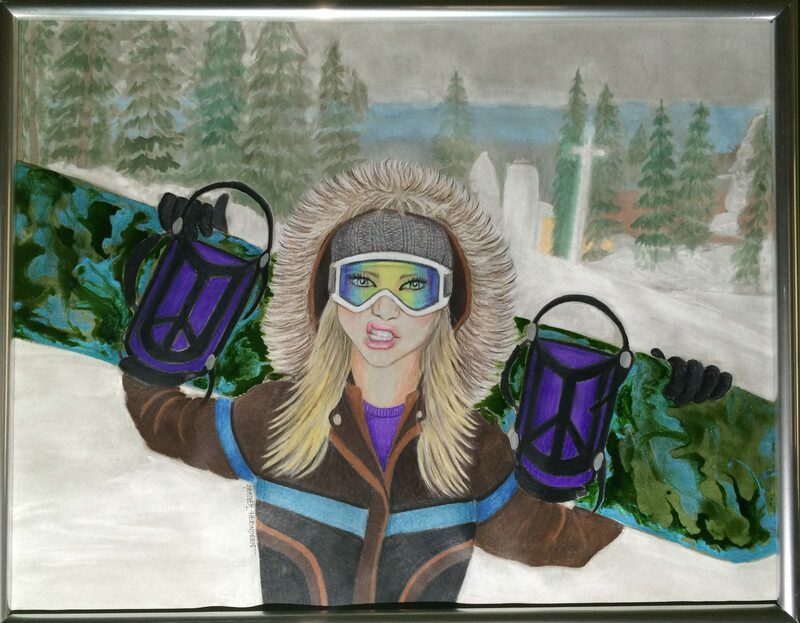 •	Snowboarding has become a passion of mine over the recent years and getting back to the mountain helped to also get my artistic blood flowing again for inspiration behind this artwork! •	This piece was done with prismacolor colored pencils and watercolors. I added something new this time and used pebeo mixed media paint to get the slick, glossy effects on the board! The original of this piece has a one-of-a-kind texture that will glisten and glow when hung on your wall! •	Bring this little shredder home and be reminded of epic times on the mountain every time you look at her!